Lessons from the iPhone, one of the most successful projects in the history of the tech industry, about how to avoid waste, maximize efficiency, and innovate. With day-to-day operations remorselessly being taken over by robots and artificial intelligence, projects are becoming the new norm for creating value and staying in business. Yet, organizations and governments increasingly struggle to deliver the potential benefits of their projects. Several studies have tried to estimate the value destruction of this shortcoming. A survey of 300 chief information officers in the UK and the US calculated that businesses waste £37 billion per year on failed agile IT projects. Research by The Economist and the Project Management Institute found that every 20 seconds, $1 million is wasted due to poor project performance. That’s nearly $2 trillion every year – equivalent to the GDP of Brazil. I have spent years analysing the mechanics of successful and less successful projects, and have spent 20 years working in the frontline of projects. I have discovered that, regardless of the project, the industry, the company, profit or non-profit, public or private sector, there are 12 variables that influence and determine project success. From the hundreds of projects I have analysed, there are few that stand out. 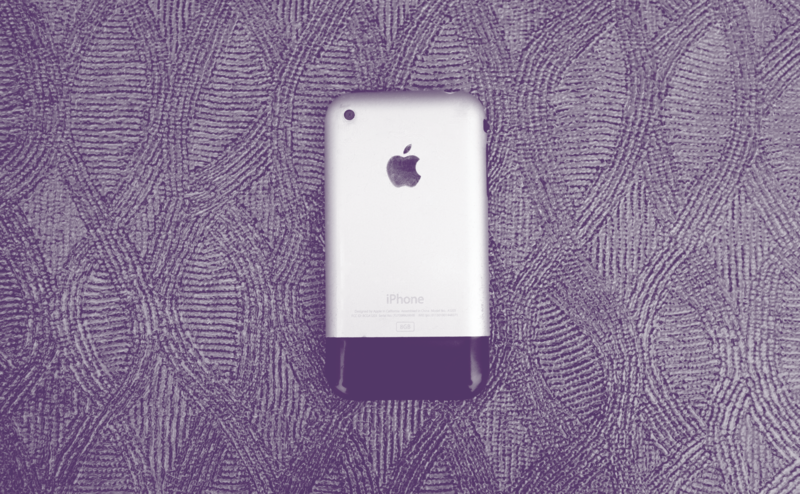 One of them is what in 2004 was codenamed Project Purple, the creation of the iPhone. Since its debut in 2007 the iPhone has become both a cultural and economic phenomenon, replacing BlackBerry and Nokia as the most ubiquitous smartphone and turning the entire global telecoms market upside down. And this from a company with no previous significant experience in the mobile phone industry! According to one estimate, Apple spent $150 million developing the iPhone (excluding the cost of the ideation phase). That $150 million certainly ranks Project Purple as one of the best investments ever. “There are very few products that have boosted the financials of a company in the way that the iPhone has for Apple,” says Ian Fogg, head of mobile at research firm IHS. Apple sold 1.4 million iPhones in 2007 and more than 201 million units worldwide in 2016. In total, it has sold more than one billion iPhones worldwide from 2007 to 2016. In the first quarter of 2017, iPhone sales accounted for more than 69% of Apple’s total revenue, generating more than $54 billion in revenues on an estimated profit margin of greater than 50%. In ten years, Apple’s revenue grew from $8 billion in 2004 to more than $215 billion in 2016. Let’s scrutinize Project Purple through the lens of some elements of the project success framework to better understand how it was seamlessly executed. Like most Apple success stories, the iPhone can trace its roots back to Steve Jobs. Shortly after the first iPod was released in 2002, Jobs began thinking about an Apple phone and, in 2005, he personally negotiated a partnership with mobile network AT&T, then known as Cingular, to develop the product. Yet the project failed to get going. In fact, there were as many as five different phones or phone-related initiatives bubbling up at Apple by the middle of the 2000s — from tiny research endeavours to a flop partnership with Motorola on the ROKR phone (which some described as the first iTunes phone). What is noteworthy is that Apple didn’t launch a formal and full-scale project to develop the first concepts of the iPhone. The ideation phase was kept low-profile, with limited investments and small teams experimenting. Most organizations have the bad habit of launching a full-blown project for every idea they generate, creating a vast quantity of projects which, most of the time, end up at a dead-end, wasting precious company resources. Numerous members of the Apple executive team tried, for several years, to convince Steve Jobs that producing a phone was a great idea. But Jobs was sceptical and rejected it many times. Linked to the previous point, Jobs’ attitude shows how an executive sponsor should behave: being a powerful source of inspiration, a fierce curator of good ideas, yet not afraid of rejecting the bad or half-baked ones. Once Jobs’ scepticism was overcome, he was fully engaged, and dedicated approximately 40% of his time to supervise and support the different project teams. Executive sponsors are key to ensure that resources are allocated for transversal initiatives, that decisions are taken when problems arise, that executives stay aligned and the organization remains behind the strategic project. There is no area more important for project success that ongoing executive support. Yet, I come across many organizations in which every executive sponsors 10 to 20 strategic initiatives. This means that they dedicate less than one hour per month to overseeing them. This is a guarantee for project disaster. On 29 June 2007, at the annual Macworld trade show, the first iPhone was released. That is exactly two-and-a-half years to produce a revolutionary phone, the first smartphone, by a company that had not produced phones before. Project Purple is a great example of the power of establishing a fixed deadline, the pressure it creates on the team, ensuring everyone is 100% focused on the project, making them go the extra mile. The project team was one of the most talented groups of individuals in recent history. The best engineers, the best programmers, the best designers were selected to join the team. And not part-time, one- or half-a-day-a-week, as most companies do with their strategic projects. The chosen people were fully discharged from all their duties and were assigned full-time to the project, effective immediately. Project Purple became their life. As with the technicians, Jobs decided to put the best leadership team together too. He began with the legendary Jony Ive, designer of the iPod and MacBook, putting him in charge of the look of the handset. “It was clear that a lot of the best engineers from the best teams had been slurped over to this mysterious team,” recalls Evan Doll, who was then a software engineer at Apple. And their lives would never be the same – at least, not for the next two-and-a-half years. Not only would they be working overtime to produce the most influential piece of consumer technology of their generation, but they’d be doing little else. Their personal lives would disappear, and they wouldn’t be able to talk about what they were working on. One of Apple’s greatest strengths is that it makes its products look and feel easy to use. There was nothing easy about making the iPhone – its inventors say the process was often nerve-wracking. Jobs wanted to see a demo of everything. Designers would often create mock-ups of a single design element – such as a button on the iPhone – up to 50 times until it met his stellar quality standards. At several points throughout the project, when things were not going well and the quality of the iPhone was not reached, Steve Jobs gave the team an ultimatum: “Two weeks to show progress with the operating system, or have the project assigned to another group.” Everybody knew that he was not kidding. “Steve wanted to do a phone, and he wanted to do it as fast as he could,” Richard Williamson, an Apple director of software, said. But which phone? And how to manage the risk of not achieving the intent of the project? One of the high risks was the fact that Apple had no experience in producing a phone. The learning curve could take many more years than initially planned. To address the development risks, the project team looked at the different options. They came up with two main possibilities: (a) transform the celebrated iPod into a phone (the easier path), or (b) transform the established Mac into a small touch-tablet that made calls. The two phone projects were split into tracks, code-named P1 and P2, respectively. Both were top secret. P1 was the iPod phone. P2 was the still-experimental hybrid of multi-touch technology and Mac software. Instead of choosing one of them and taking the risk of having made the wrong choice, they decided to work on both prototypes in parallel. This was a proactive way of mitigating one of the major risks of Project Purple. I guarantee that your chances of success will increase considerably. — Antonio Nieto-Rodriguez is one of the world’s leading experts in project management and strategy implementation. His work has been recognized by Thinkers50, winning the award Ideas into Practice. He is author of The Focused Organization.